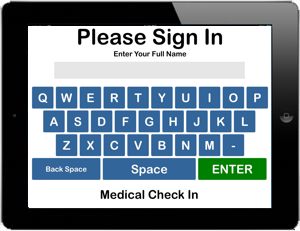 Medical Check In supports a variety of touch screen choices. Below are some of the most popular systems our customers use. 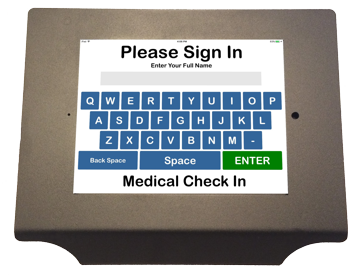 Apple products bring a familiar touch and feel to the patient. 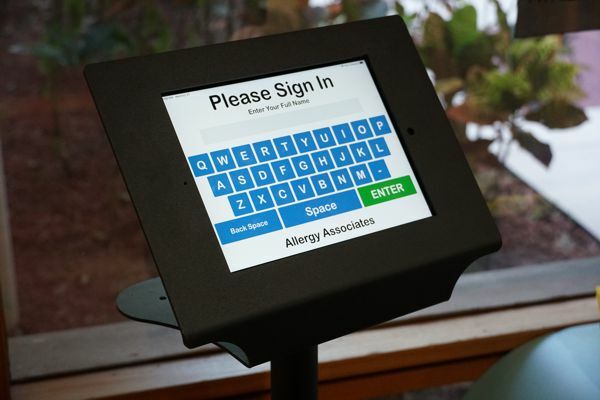 Having the same touch as a smart phone gives this package an advantage in that patients have no reservation using it. The iPad does require solid WiFi or the optional wired Ethernet kit. The Windows based PC units are larger and include a wired ethernet connection or an optional WiFi option. 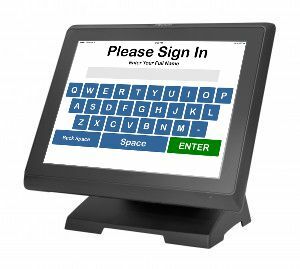 Used by many hospitals due to requirements and compatibility with IT Standards of their business. Provides security as required by certain government and military facilities. 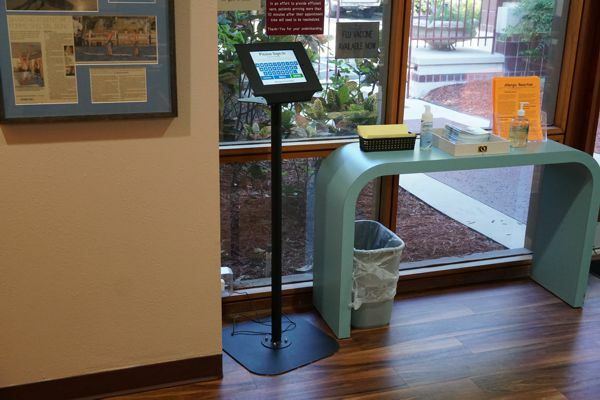 These stands are specifically designed for kiosk style use. Yep! We can connect an Apple iPad direct to your wired ethernet network. Using Apple components, your iPad will be on charge and connected to the category 5 ethernet wire making a faster, more reliable connection to the internet. We use two Apple components to split the power and provide an Ethernet tail to conect the iPad to a wall style wired Ethernet port. Cost is $99. There are many stands available on the internet. 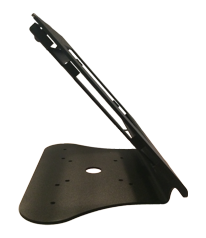 This one is one of our most popular stands and is available through Displays2Go. The iPad does require solid WiFi or the optional wired Ethernet kit.